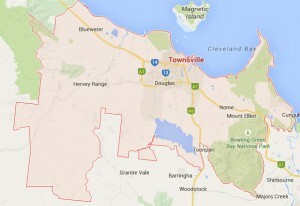 Looking for effective and professional Townsville removalists? Roadways Removalist is here to help you. Known as the market leader in the furniture removal industry, we endeavour to offer the best quality of furniture removalist services, covering a vast area of the East Coast of Australia. At Roadways Removal, we aim at making the relocation experience as pleasant as possible by offering a range of moving services. We possess expertise knowledge in performing local and interstate furniture removal services from Brisbane, Melbourne, Sydney, Perth, Darwin, Hobart, Adelaide to Townsville with complete accuracy and dedication. Besides furniture removal services, we offer backloading removal services, shipping and transportation service, moving and storage services,packing services as well at the best market rates. Holding a respectable position as a leading Townsville removals company, we employ trained and skilled manpower who are experts in their respective fields. Their friendly and consultative approach ensures that exemplary services are offered to customers as per their requirements and budget. They keep themselves well-informed with the latest technologies and advocate them while performing the removal process. As compared to leading the removalist of Australia, we boast that we have the lowest loss and damage ratio. We value the belongings of our customers, therefore follow a proactive approach and make use of state-of-the-art equipment while performing removal activities. Our professionals will ensure to cause minimum or no damage during transit. So, remain calm and composed if you have hired our premium services as we guarantee secure and safe removal. We act as a one stop solution provider offering furniture removal, packing, storage and transportation services at the most competitive rates. Timely door to door solutions are offered to customers as goods are picked from their old houses and transported to new houses. Whether you are moving to a new city, state or to the next lane, high quality services are ensured. So, experience premium furniture removal services by getting associated with Roadways Removalist. Townsville, the unofficial capital of North Queensland, is the second largest city in the Australian state of Queensland. The city is most renowned for its “The Strand”, a seaside foreshore. Townsville has a tropical wet and dry climate. Its winters are dominated by South East trade winds and a generally fine weather throughout. The city is unique for its sunshine, enjoying an yearly average of 320 days of bright light and warm weather. Townsville has many distinguished attractions. The city is the perfect place to experience the exquisiteness of the region – the mystifying outback, the enthralling rainforests, the magnificent waterfalls, the stirring tropical islands and of course, the Great Barrier Reef. It is home to the celebrated HQ Aquarium, motley Cotters Market and the restful foliage of Palmetum Park. The city has excellent museums, an abundance of good dining options and a bouncy nightlife. Magnetic Island, another attractive holiday destination, is just 8 kms away and the world’s greatest reef, the Great Barrier Reef, is just a matter of two-hours cruising. The city has numerous heritage museums and art galleries like Museum & Historical Society, and Charters Towers Museum, amongst others. The Billabong Sanctuary, “Australia’s best interactive wildlife sanctuary” is just 17 kms south of the city. It has a dynamic inner city nightlife offering a wide choice of after-dark entertainment options to suit the casual, quiet, trendy, burlesque or formal. Some of the popular nightlife haunts are Flinders Street East, CBD, Gregory Street, and The Strand, where there is a huge concentration of the city’s excellent pubs, both modern and old, restaurants, resorts, hotels, nightclubs, bars and cafes. Townsville International Airport is highly modernized and handles both domestic and international flights. The city is served mainly by an extensive and efficient network of bus services, besides taxis and ferries. Here you can see and do a plethora of amazing things. Whether you are in a mood for relaxation, action or knowledge, the city has everything to satisfy your tastes. If you are in need of the best interstate Townsville removalists, you’ve come to the right place.